@Jean Loang Dousset does it again! We’re in love with the Eva – Round Engagement Ring. Hello gorgeous! Posted in pretty things	| Comments Off on @Jean Loang Dousset does it again! We’re in love with the Eva – Round Engagement Ring. Hello gorgeous! 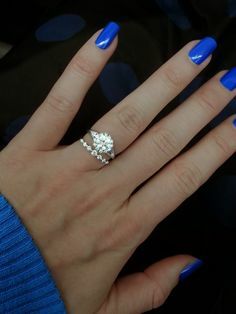 Posted in pretty things	| Comments Off on my perfect ring. Featuring a stunning 2.00ct. Forever One (DEF) Hearts & Arrows Moissanite center. Posted in pretty things	| Comments Off on Featuring a stunning 2.00ct. 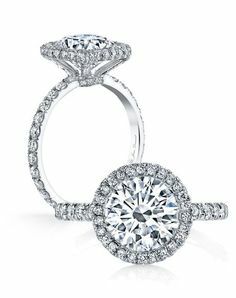 Forever One (DEF) Hearts & Arrows Moissanite center. The simple, elegant design of this channel set diamond ring by Blue Nile securely holds fifteen round brilliant-cut diamonds in a single row.This classically beautiful ring is exceptionally crafted in enduring platinum. Posted in pretty things	| Comments Off on The simple, elegant design of this channel set diamond ring by Blue Nile securely holds fifteen round brilliant-cut diamonds in a single row.This classically beautiful ring is exceptionally crafted in enduring platinum.